The Woolstons: Hot Air Balloon! I got to go on a hot air balloon ride on Saturday and it was cuhrazy awesome. 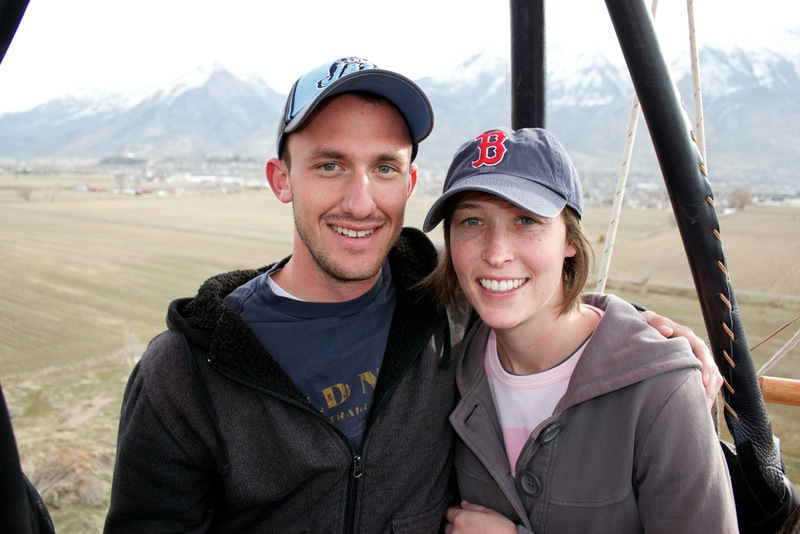 The Barney's have friends who own the Bank of American Fork balloons (including the pig!) so they were going to take people on rides. Danny and I got to go at the beginning, but then the wind picked up so he landed and no one else got to go. I feel pretty bad that we "hogged" all the time, but it was really wonderfully wonderful. Here is a little picture of the descent. Speaking of balloons, National Geographic is doing something pretty awesome. Check it out. how fun and how cute. i like you both. hA! i heard that you got to ride in the pig. great hog joke. very funny. also, i noticed you're wearing my pink sweatshirt and em's boston hat. you must love having such fashion forward older sisters. good work. looks like fun. hip hip hooray!! i haven't even read the post yet - but saw that it was for me - THANK YOU!!!!!!!!!!!!! !